I have blogged about Emma’s journey before, so I don’t really want to retell the whole story. 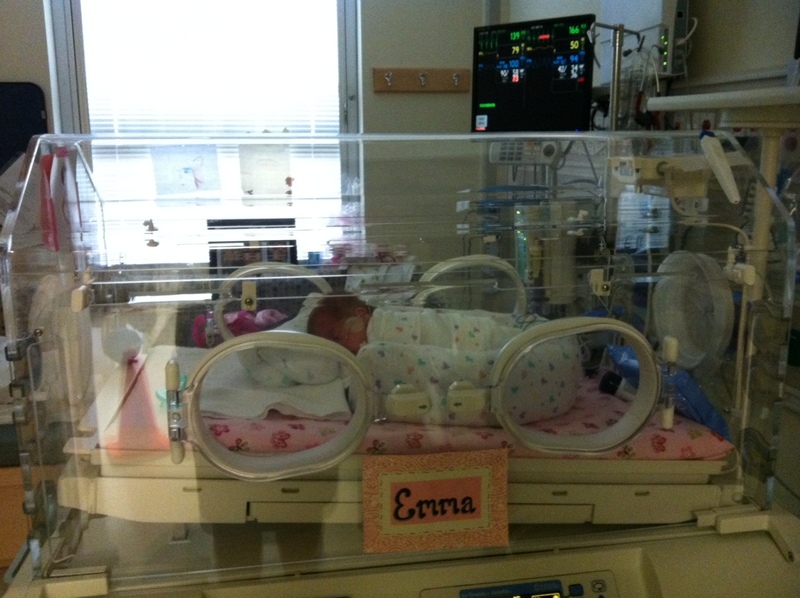 We will never know just why Emma was born prematurely. 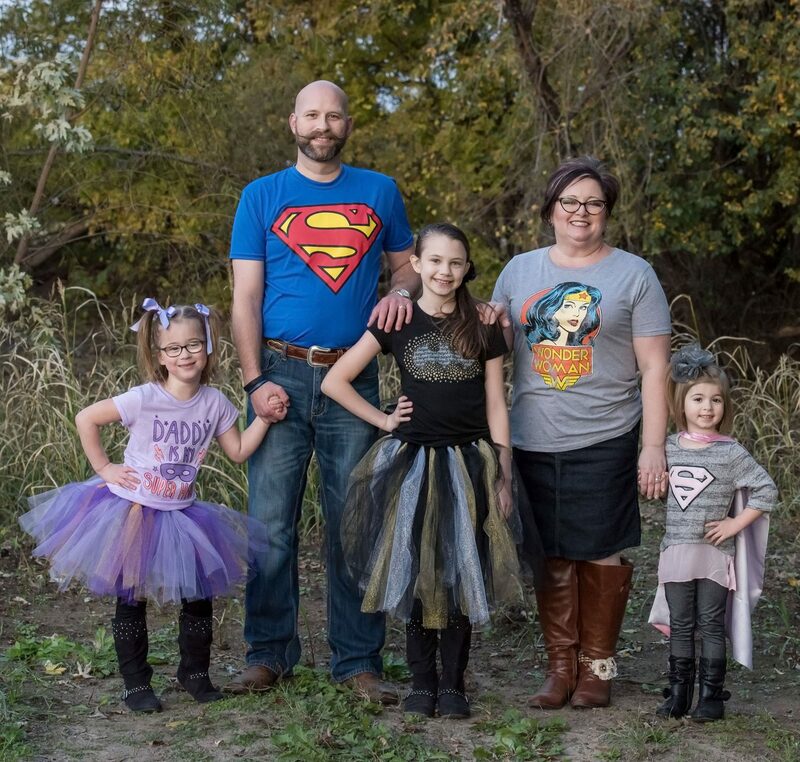 The nurse at her birth thought it might have been an infection, but where that came from she didn’t know. My doctor said that is the blanket answer. Often it’s contributed to an infection, but the cause is really unknown. I do know this, God allowed it. For whatever reason, God chose us to go down this path. Little Emma a day or two after she was born. The pink cloth on the right side of the picture was her scent cloth. We slept with it and put it in her bed so she could get accustomed to us. Any baby born before 37 weeks is considered premature. According to the March of Dimes, 1 out of 9 births is a premature birth. 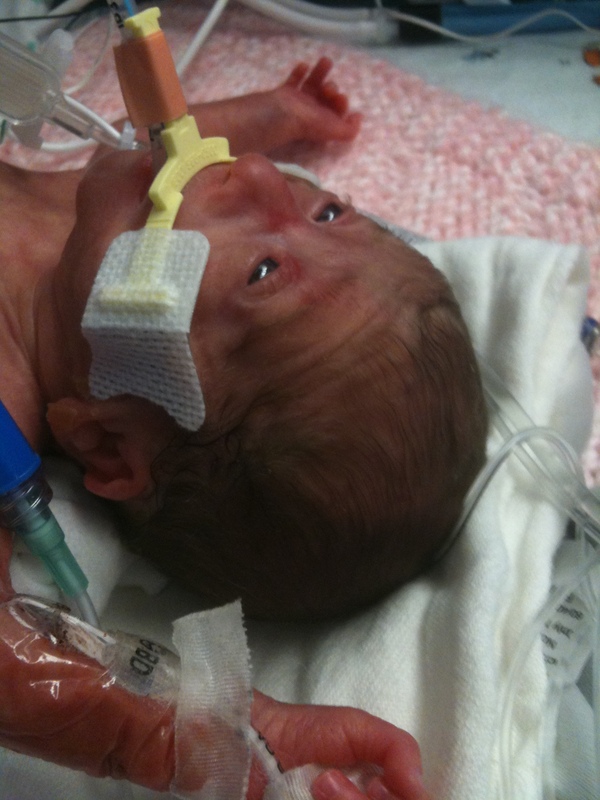 Micro preemies are babies born before week 32 (some stats say week 30). Chances of survival for a baby born at Emma’s gestation is 55%-70%. Just 10-15 years ago the chances of survival were much, much lower. 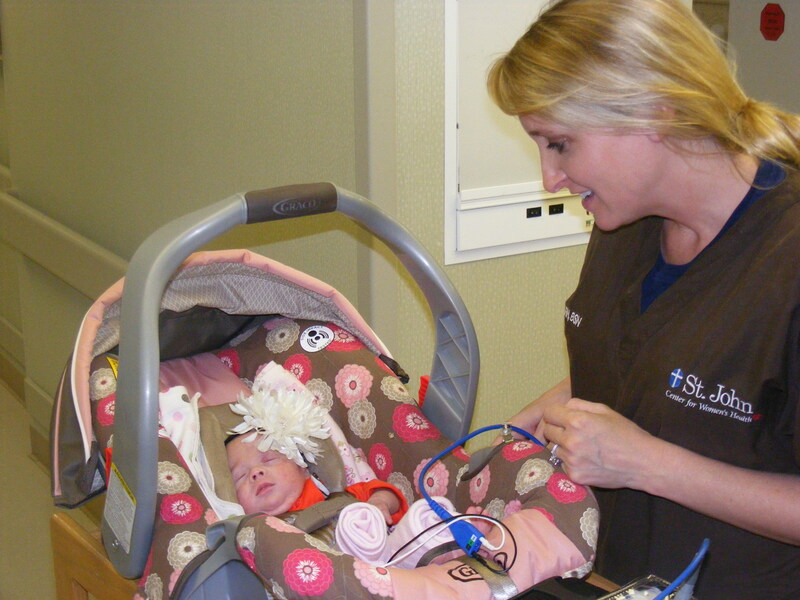 Of babies born this early, only 30%-40% will develop normally without any major health issues or concerns. These babies are born purple. Their skin is transparent so you see the blood vessels underneath. Emma has a very high pain tolerance. I’m convinced it is because of all the poking and prodding she endured those first 89 days of life. I assumed all preemies were visited by their parents. Sadly, I learned that some preemies are already in state custody and NICU nurses are the only contact some of them have. It is a scary thing to have a baby at 26 weeks and not know how things are going to go. I remember one of the nurses warning us we would have a couple of good days and then a bad day. She was right. The first couple of days looked promising and then “Wham!” here came our bad day. That pattern continued for weeks. I’ll never forget the day the Nurse Practitioner, Gina, came in with the worse case scenarios. Possibilities included vision loss, hearing loss, developmental delays, neurological disorders, cerebral palsy, and the list went on. If I had no God in which to put my trust, that conversation would have been very bleak. I realized after that she was just doing her job. Unfortunately, they have to do that. But I appreciated the way she talked to us and explained things and let us ask questions. Gina became a sweet friend during our NICU stay. This is great considering how we first met. The day after I was released I went to Emma’s room. When I asked if I could just go on in she said yes and asked if I was Emma’s grandma. (If I had a dollar for every time I was asked that!!) I remember one day she came in, sat down, and we just talked. Some of it was about Emma, some about our journey through infertility, part of the conversation was about her and her health journey, but always about how God is good. She always made time for us even after we graduated from the NICU. 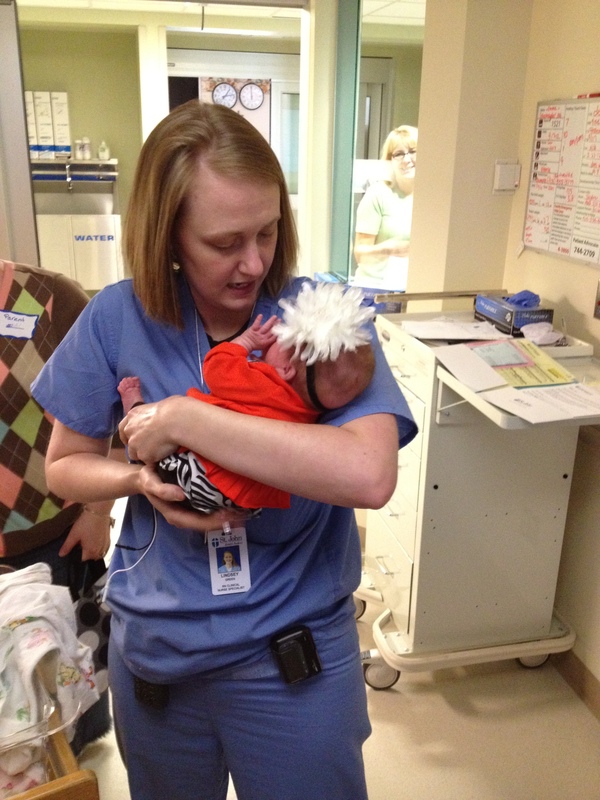 I love our NICU nurses. They are fabulous. It still amazes me how these people can work 12 hour shifts on what I would consider a high stress level job. I never heard anyone complain. I never heard any of them gripe about another nurse. They answered our questions and were patient. We were there a lot so we had a lot of questions. They were very professional, but they were so personable. We had 24 access to our nurses. We could live in her room if we wanted. We could call any hour of the day or night and check on Emma. They always answered and were always happy to tell us how our baby was doing. Though we did have excellent doctors, Dr. Siddiqui being one of my favorites, it was the nurses who watched over Emma every day. They got to know her. Once she was able to cry, they learned she only cried when she was dirty. 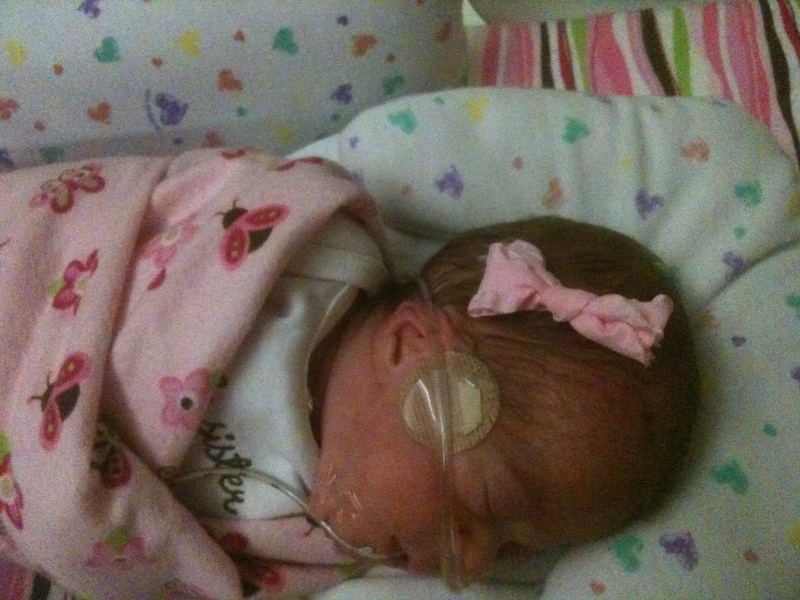 One of her nurses made Emma her first hair bow. They made a nameplate for her bed. They called her by name. One of Emma’s first bows. Thanks, Nurse Tiffany! Emma in her glass bed, just like Sleeping Beauty. Those nurses are my heroes. If I started to list them by name, I know I’d forget someone. 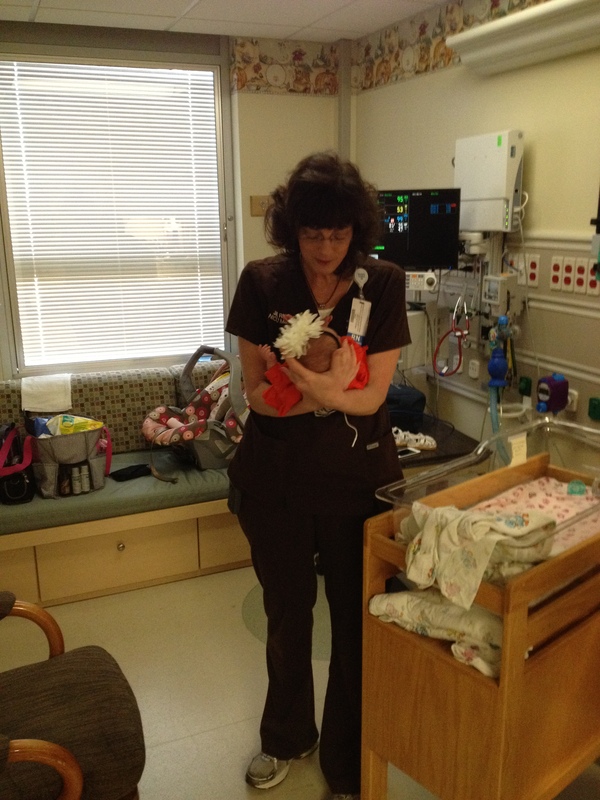 But every single nurse that took care of our precious baby has a hand in the beauty she is today. Many of these nurses still keep in touch with us, and I always want Emma to know how these angels were used by God to accomplish a purpose. 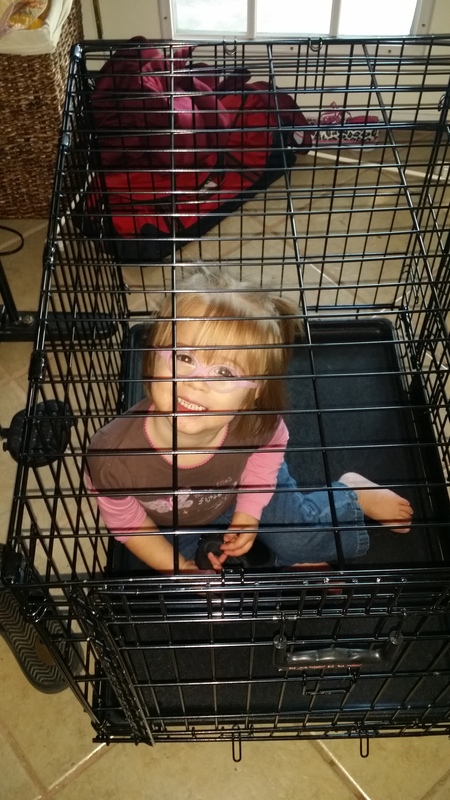 Emma being silly playing in the dog’s crate. Our vivacious Emma will be 3 in January. It is often hard to believe that she went through all she went through. We have had the privilege of having awesome speech and physical therapists working with her to help her along. We are almost caught up on every level, and I’m praying by the time we start kindergarten, she’ll be right on grade level. We have purchased a preemie baby doll to give Emma a point of reference when she gets older. 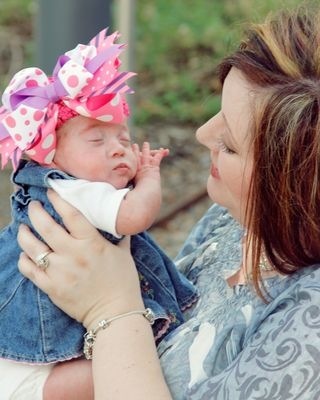 (www.weebundles.com) I want her to see just how tiny she was and what a miracle she has been. 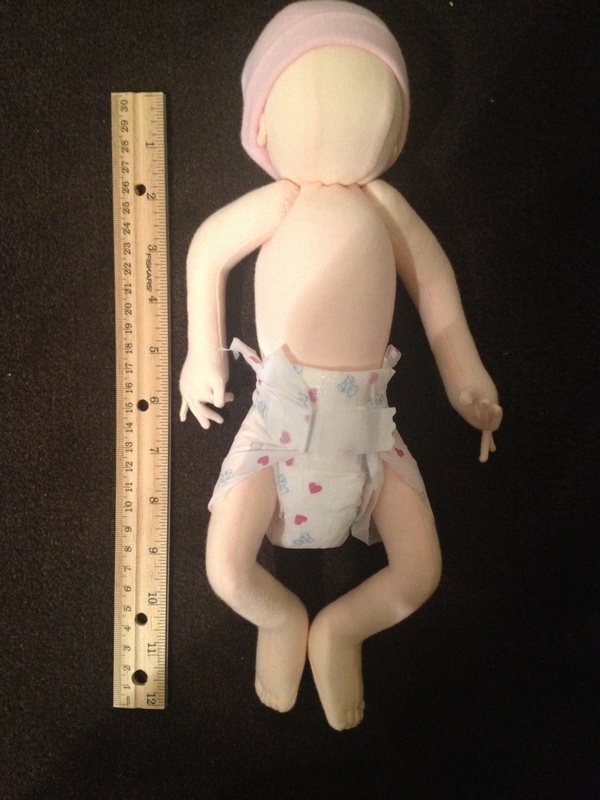 This doll was made to be the exact length and weight as Emma when she was born. 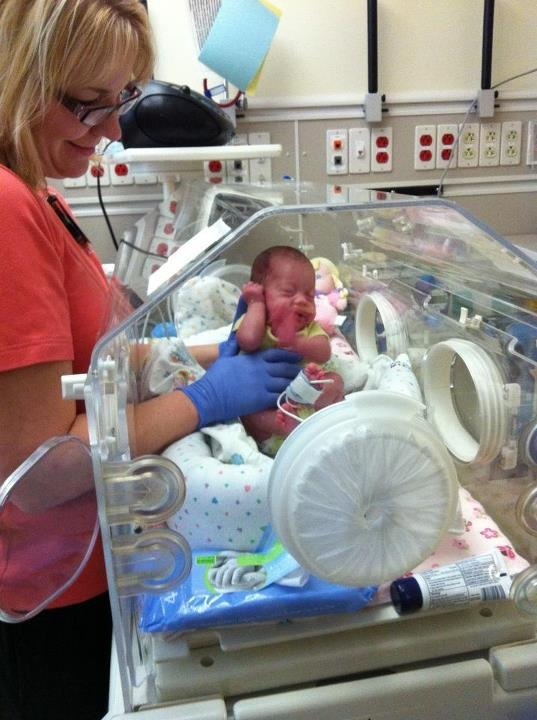 If you know of a family that has a preemie, go visit them, even if you don’t get to see their precious blessing. The parents need a short break, a diversion. Take them a meal (we found out the hard way we weren’t supposed to eat in our room. Oops!) or get them a gift card to a restaurant close by. Take them a Starbucks card. We had one right across the street. Send them a fuel card. They will spend lots of time traveling to the hospital, even if they live in the same town. Above all, pray for them. Pray for the baby, the parents, the siblings if there are any, and especially the doctors and nurses. No matter what the medical community will tell them, God is sovereign. I am so thankful that through it all, God is in control, and especially grateful that God saw fit to bring Emma through. Giving us last minute instructions before we graduate. Even the nurse manager kept tabs on little Emma. We loved the entire medical staff.